Do you know how BIG this region is? 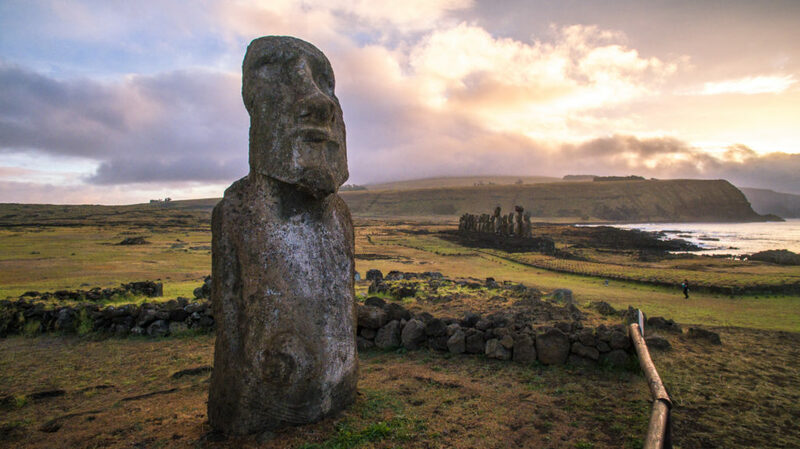 Specifically, it’s 402,700 mi², which takes up the lower southern triangle of land shared by Chile and Argentina. It comprises the southern portion of the Andes Mountains and has two coasts, a western one towards the Pacific Ocean and an eastern one towards the Atlantic Ocean. Phew! Now that we have that geography lesson out of the way, let’s get to the fun part. Quasar Expeditions partnered with Jeep to bring adventurers bespoke itineraries at their own pace, on their own time. Genius! Instead of being on a bus with a bunch of strangers, Quasar gives you the keys so you can spend some quality time with friends, family, and the surrounding landscape. Don’t feel like driving? Quasar can provide a guide, and a really fun/knowledgable one at that (shout out to Alvaro!). I’ve already talked about the basic info when I had a Jeep for a day last year, so here’s why this particular trip is different. Overland Safari – ˈōvərˌland səˈfärē: [noun]. An expedition by land where guests traverse both Argentina and Chilean Patagonia via Jeep Wrangler Unlimited while staying in different luxury hotels along the way to ensure optimal comfort and time for exploration around the region. Does that sound like a dream or what? One of my favorite aspects about Quasar is that they are quick to accommodate any itinerary request. We needed to begin our expedition in Argentina Patagonia, and they were incredibly kind to bring the Jeep to us from where they are housed in Chile. They then recommended a list of luxury hotels from which we were able to choose. The rest was easy – put the key in the ignition and PataGOnia. But first, the border crossing. The drive from El Calafate to Torres del Paine is extremely beautiful, easy (a couple turns at most) and takes around 5 1/2 hours, including time spent at the border. I’ve done this once before when I was simply a passenger of a small van where my only responsibility was handing over my passport in order to be cleared by Customs & Immigration. Now I was the driver – getting nervous for Wade and I to do this all by ourselves. HA. Silly me. The entire process couldn’t have been easier because Quasar gave us every single paper necessary to check out of Argentina and check into Chile. Phew! I could stop sweating now. Note: Eat all your fruits, veggies and other fresh food before getting to the border. Out of all the countries I’ve visited, Chile is the most complicated when it comes to bringing in food. They let my granola bars and chocolate by, but if it’s perishable, they’ll take food from you. If you aren’t sure if you can bring in a certain item, go ahead and declare it and let them have a look! In my opinion, the further south you go, the better off you are. I started as a product of the south in 1987 in the natural state of Arkansas, and I’ve been trying to make my way even further south ever since. Authenticity is abundant under southern skies, evident through the good-natured people, even better food and local finds. A shining example is the hotel where I was lucky enough to spend four glorious nights while in Chilean Patagonia, Patagonia Camp. Eighteen yurts exist on the shores of enormous Lake Toro (facing the Paine Massif), but if you have a thing for views, go for yurt #17 closest to the water. If you have a thing for wifi, go for yurt #8 because I believe that’s the closest yurt to the dining area, the only area at Patagonia Camp with wifi. I’m guilty of always on my phone posting social media or writing blogs, but who really needs wifi when you have this in your front yard (sunrise view from our terrace when it looked like the sky was on fire!)?? One of my favorite aspects of the Camp is how it allows the five senses to open up. From our cozy king bed we could hear the sound of wind and rain as we fell asleep, and we could gaze at the stars from the center cupula. We feasted on fine dining for each and every meal – there’s nothing like the smell of cordero (lamb) wafting into your yurt, luring you to the Camp’s cordero and wine tasting! Patagonia Camp’s design and construction is minimally invasive and blends in seamlessly with the landscape. The entire complex is built on wooden piles which support the yurts, common areas and interconnecting walkways. This building system helps preserve the native plants that have grown in the area for hundreds of years. Patagonia Camp’s commitment to preserving the environment should be coveted and attempted by all. I love the wide-spread acceptance of South American all-inclusive programs. It’s not what you think. The cheap thrills of bottomless electric lemonades and guac are for seniors during spring break. 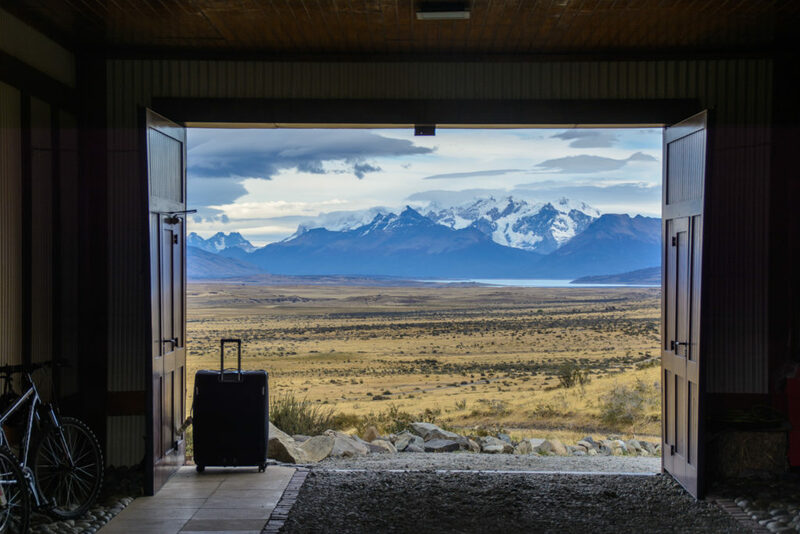 Here, Patagonia Camp allows their guests to leave the bills behind in order to fully enjoy their surroundings. Rates include round-trip transportation to/from Punta Arenas airport (unless you have your very own Jeep! ), lodging, full board, open bar, daily excursions, bilingual guides and entrance fee into Torres del Paine. As far as excursions go, I’m having a hard time trying to think of what Patagonia Camp doesn’t offer. See their full list of activities here. I even took a pilates class one day. It’s extensive, and reading it gives me a longing to return. Sure, they offer the famous Base of the Torres and Grey Glacier hikes, but they also provide something far more unique such as treks through private estancias and kayaking/paddle boarding off their own shores that you can’t get anywhere else. This establishment should be exceptionally proud of its staff members and how they treat their guests from all over the world. It takes a special person to be able to adapt so quickly to varying nationalities, personalities and fitness levels – but Patagonia Camp’s staff has it down to a science. I was blown away by each and every person I came across here, and their happiness is contagious. They genuinely enjoy spending their every day at the Camp…but how could you not?! They have some of the best jobs on the planet! This was my fifth time to Patagonia, and I finally felt like I was doing it justice. Patagonia is unlike any other place on Earth and needs patience and a willingness to move slowly. Hasty visitors take note, or you’ll miss everything that matters. I highly recommend Quasar Expedition’s 8 night/9 day Overland Safari if you want to see Patagonia the right way. Also, calling all adventurous couples: I think it makes for the PERFECT honeymoon, anniversary, or couple’s trip! Take my advice. You’ll thank me later. Adventure begins at the end of the world! The weather in Patagonia changes faster that my travel itinerary. You will likely experience all four seasons in under an hour. Here’s what needs to happen inside your suitcase: base layer (tank or t-shirt), fleece/pullover, puff/down jacket, rain jacket, hat, gloves, waterproof pants, hiking pants, leggings, and waterproof hiking boots (already broken in!) to protect yourself from whatever elements may come. While we’re on a packing list, sunscreen, sunglasses and a camera are necessities. Shop my favorites below! I studied for a summer in Bs.As. Argentina for my master’s program and was supposed to visit Patagonia after my studies were over. The ash cloud from the volcano in 2011 cancelled my flight and prevented me to make it down there. Everything happens for a reason. It would’ve been a quick 3 day trip, and now I still plan on returning to Argentina, but allowing a week in the Patagonia region! Thank you so much for all your reviews, recommendations, packing lists, pictures, etc.. I know my husband and I will have the TIME OF OUR lives when we make it and will DO IT RIGHT, many thanks to you! yurts in South America? Wow! They are a special little home. It all looks incredibly fabulous! My fiancé and I are absolutely dying to go to Patagonia for our honeymoon. The probably is… We’re getting married in June. What time of year did you go? We would love to go right after we get married but can wait until later in the year if absolutely necessary. We’re looking at Explora Patagonia or one of these Overland Jeep trips! Your blog has been so helpful in getting us crazy excited for it! Thank you! Hi Maddie! I’ve been during every season except winter, and I’d never recommend it to any visitor because of the weather. I would take a delayed honeymoon for sure, November or December is nice. I went in October and the weather was still super dicey (although you can never predict the Patagonia weather!) Have a blast and so glad I could help!